The most innocent victims of war and environmental disaster are children and their mothers. According to UNICEF Somalia has one of the highest child and maternal mortality rates in the world. One in eight children dies before reaching the age of five and 1,600 women die for every 100,000 live births. Other social indicators for children are also among the worst in the world: one in three children is chronically malnourished, hardly a third of families have access to clean drinking water, just 30% of children go to school. An average Somali’s life span is only 47 years. Since 1993, Mercy-USA has been working in Somalia offering hope and lasting positive impacts on the people we’re serving. 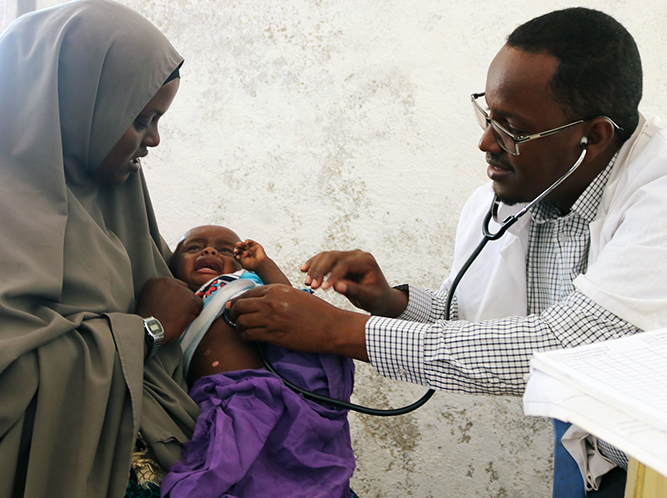 Mercy-USA provides nutrition support and health services for children, pregnant women and nursing mothers in Somalia. 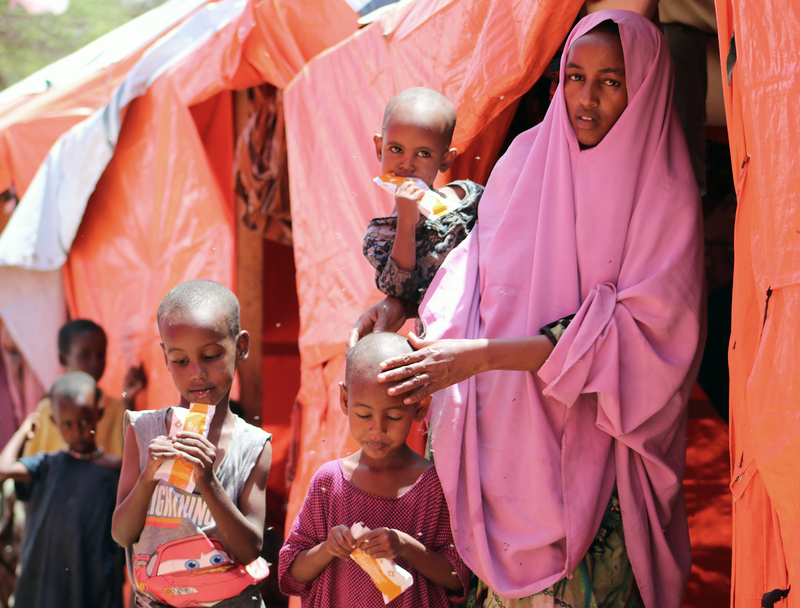 With generous grants from the US Agency for International Development’s Office of Foreign Disaster Assistance (USAID/OFDA), the United Nations Children’s Fund (UNICEF) and the World Food Program (WFP), we are helping tens of thousands of people in Somalia. We operate over 25 Mother and Child Health Clinics offering healthcare to mothers and their children. Women find qualified healthcare providers free of charge for themselves and their children, as well as vital health services including pre- and post natal care, immunizations and more. Mercy-USA has nutrition centers across Somalia. Annually, these centers treat thousands of malnourished children under the age of 5, as well as pregnant women and nursing mothers. The children with Severe Acute Malnutrition are given ready-to-use therapeutic foods like Plumpy’Nut weekly, while those with Moderate Acute Malnutrition are given UNIMIX biweekly; both are specialized food for malnourished children. Mercy-USA is also preventing disease through the immunization of children and women, distribution of vitamin A and iron folate. We also contruct and repair sanitary latrines and hand-washing stations at schools, health centers and displaced persons camps. Additionally, Mercy-USA has been providing health, nutrition and hygiene education to vulnerable communities as an effective means of disease prevention.